Infrastructure projects between Bulgaria and Serbia should be implemented in shorter terms, President Georgi Purvanov said Thursday, addressing the participants in a Bulgarian-Serbian economic forum in Sofia, BTA reported. The head of state underscored the need of developing modern infrastructure as part of the conditions for the advancement and deepening of bilateral economic relations. "We shall continue to insist before the European partners for finding additional resources and when there is solidarity in our demands for the development of Corridor X we could be more convincing," the head of state pointed out, adding that the sum in question is a sufficiently small one that could be mobilized by the governments of Bulgaria and Serbia through a scheme that the economists of the two countries could put forward. Purvanov also spoke of the need of boosting cooperation in the energy sector, noting that at Bulgaria's inclusion in major energy projects he maintained that part of the routes pass through Serbia, too, because that would be of common interest. The president also pointed out the importance of supporting the implementation of programmes for the development of border regions and boosting cooperation between local authorities - the regions around Dimitrovgrad and the other ones where Bulgarians live. "We support the efforts for maximum alleviation of the visa regime with Serbia," Purvanov said and recalled that Bulgaria will introduce a special regime and free visas for Serbian citizens, and is also seeking additional opportunities for such steps. The Bulgarian head of state underscored that overall integration of the countries in the region in the EU would be most effective and most favourable for business. "There is no other future for the region outside the European perspective, a position Bulgaria consistently upholds with the support of arguments," he said. Purvanov also pointed out that in recent years Bulgaria and Serbia have given a powerful lesson in new interpretation of history and that today, when there is a complex and dynamic situation in the region, the two countries show themselves capable of concrete pragmatic solutions in their relations. The Serbian Charge d'Affaires in Bulgaria Dejan Hinic said that after the decision of the Bulgarian government to recognize the illegitimate independence of Kosovo the atmosphere in relations is not the same. "Bulgaria is our close neighbour, but the Serbian public regrets your country made this step, which is not in the interest of bilateral relations,' Hinic said. he, however, declared that Bulgaria and Serbia have plently of interests in common and his country will not close itself to business with its neighbours and the EU. "Serbia wants economic relations to develop on the basis of the interests of the two countries. 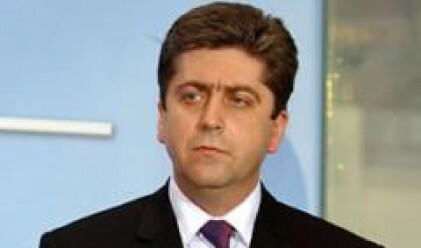 Bulgarian investments in Serbia are welcome, as until now,' Dejan Hinic said. Serbia ranks fourth in Bulgaria's trade with Balkan countries. With nearly 800 million euro in bilateral trade in 2007 Bulgaria is among the top ten foreign trade partners of Serbia. Bulgarian companies have invested more than 100 million euro in Serbia's economy, ranking second in the number of privatized Serbian enterprises and first in the number of companies owned by foreigners. There are more than 100 trade representations of Bulgarian companies in Serbia.